Meanderings and Reflections: Whose space is it anyway? I switch on the light. They respond as if they are ‘caught in the act.’ I wait for them to leave. They wait for me to leave. They are motionless. I don’t see them looking at me but I know that they can sense my presence. This is MY house, I think but they don’t care. They never cared. Why should they care? They are not like me living in A particular space with marked boundaries. They live wherever they can find an environment that is conducive for food and reproduction. After all, unlike me they don’t need different rooms, utensils, clothes and other stuff. All that they need is filth, wetness and leftover food left carelessly by me in nondescript places. I am not scared of them. I never was. But the feeling of them on me is quite icky and unpleasant. I would never want them on me even for a second. Of course, I revere my body as I do my space. Whenever I spot them on and off ‘the act,’ I imagine them climbing on my limbs. I cringe. I imagine a bit too much. I have dwelled on this thought of imagining something and actually feeling something. Sometimes, both are the same. Sometimes, the actual is never experienced, so certain things exist only in the imagination. The invaders’ tale is also similar. Whenever I spot the invaders of ‘my space,’ my mind is on a high-alert imagination mode. I stand there transfixed imagining and looking – looking and imagining. The invaders mirror my action. They remain there motionless. I have half a mind to spray that pesticide which is lying unused (I think that pesticides are unhealthy for the air which circulates inside the house thus putting the family in danger!). Then? Do I kill them and feel queasy about the white blood that gushes out? I do neither. I will and cannot bring an uneasiness to my sight and smell. I leave the spot and allow the invaders to continue their (k)nightly rendezvous. 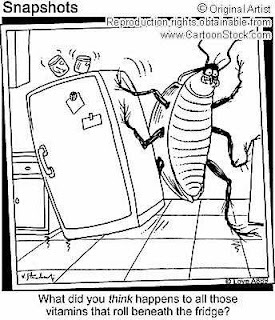 The next day, I google, “Natural and chemical-free way to get rid of roaches.” As always, Google gives me the answers but I’m yet to try them on the invaders of my house and space. In the meanwhile, I thought I would write a post and in the corner of my eye, I can spot a stealthy movement. I know that I’m being watched. I say...nuke'em....oh yeah, that has already been proven not to work. You have roaches and I have rats. It's a war - keep your chin up. Oooh good to see others having same issues I do.. At night I dread getting out of my room, I know they wait, in stealth mode in wall corners and on the dining table..
Btw, do let me know if any of those remedies work. my invaders are much smaller ans only need a blood supply. Mine of course... Loved this post. Aah!! These bugs are quite capable of giving you that eeeky feeling. Thankfully, they have not dared to venture in our new home, but have suffered them while we were in Jodhpur. I was scared to enter the kitchen at night coz they would be everywhere and some were so huge!! Thinking about them even now gives me that squeamish feeling! Yes they're gross. Makes one wonder why God made them, right? I haven't had any in many years. But I grew up in New York, where roaches rule. Yuck. We sometimes battle fleas over here because of our dog and cat. We actually had a "flea outbreak" in ours state! I can totally relate to unwelcome guests..and like you, I hate the thought of using chemicals. Good luck! Boric acid mixed with something...:P Call the pest control...always better. lol - we had once - in delhi/ncr u get a chalk-like thing to draw lines across the ground to kill them - it used to be called "lakshman rekha"
ah those annoying wretched creatures!!! Be the exterminator they dont want u to be! Yucky - but I still prefer them to the lizards! ;) Be careful with what you use to get them out. Hate them! never needed an exterminator until I moved South. 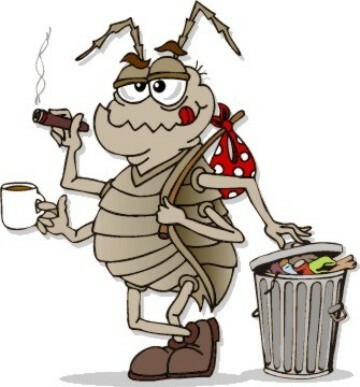 I have an exterminator and believe me it is the best money I pay. I don't want to see ONE in between treatments and he(exterminator) returns free of charge if I call him back within the 3 month time( I do if I see any...even ONE). I want them so GONE, I'll take my chances on the chemicals (otherwise I'll die from roach terror as I abhor those things. )Don't like those lizars Corinne mentioned either. Seriously though, there is a product called Kicker, which is an organic paste, and is super effective. It gets rid of the tiniest of the pests and keeps them away for months. Just smear it on all cracks and crannies like putty. I don't know if it is available elsewhere, but it is, in Delhi.